Our last two days passed in a bit of a blur … and we’ve decided that Kangaroo Island is a microcosm of Australia. Salt pans, dry creek beds, bush fires, bone-jarring dirt roads, lagoons, beautiful deserted beaches, and a home to over 1,000 native plant and bird species. The island feels remote, but in contrast you are never too far from a vineyard, a cheese maker or a meal of fresh fish. Wildlife highlights – Tammar wallabies on our front lawn, a dolphin skimming through the shallows only metres from our feet, and our visit to Duck Lagoon which even at the end of a dry summer has enough water to sustain a large number of birds. The food highlight was at Kangaroo Island Spirits, a rustic and quirky little distillery located in a corrugated iron shed near Cygnet River. 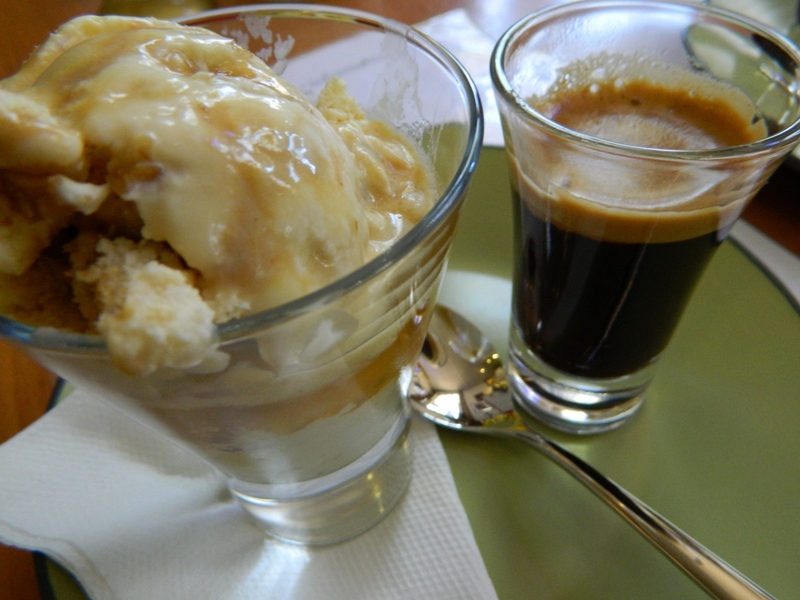 They make an affogato to die for – drunken honeycomb ice cream, honey and walnut liqueur and a shot of espresso. Absolutely worth a detour if it’s not already on your itinerary. Five days on KI was not nearly long enough and we have decided to go back in October for wildflower season and to explore the western end of the island.